Mycologist Paul Stamets studies mycelium and lists 6 ways that this astonishing fungus can help save the world. Cleaning polluted soil, creating new insecticides, treating smallpox and maybe even the flu … in 18 minutes, he doesn’t get all the way through his list, but he has plenty of time to blow your mind. An audience favorite at TED2008. That action helps prevent uranium uptake by plants, animals and microbes, although there would still be some threat involved. Researchers said the minerals produced by the fungi are capable of long-term uranium retention. “More recently, at Einstein University, they just determined that fungi use radiation as a source of energy, much like plants use light,” says Stamets. Stamets conducted an experiment where there were 4 piles saturated with diesel and other petroleum waste. One was a control pile, one pile was treated with enzymes, one pile was treated with a bacteria, and one pile they inoculated with mushroom mycelium. 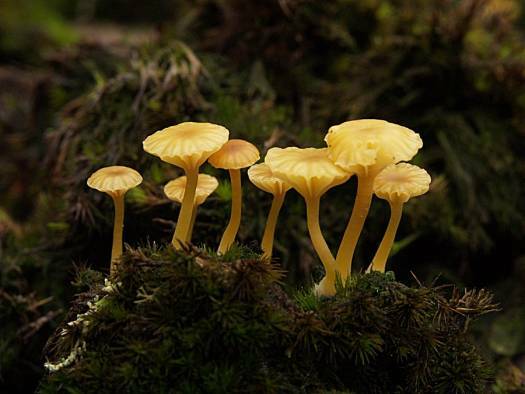 These amazing findings about the effectiveness of mushrooms against viruses now “make the argument that we should save the old growth forest as a matter of national defense,” says Stamets. The end result was his discovery of a now-patented pesticide technology that takes advantage of chemical cues produced during one stage of the life cycle of the green mold fungus Metarhizium anisopliae to attract carpenter ants and other insect pests and infect them with the fungus, which later kills them. An additional benefit is that chemical cues produced by spores in a subsequent stage of the fungal life cycle help shoo ants and other insect pests away indefinitely.